Need aid with your academic paper? Let me help you. I have three years of experience in academic research and writing , completing 100+ projects successfully during the time. I am excelled in both Harvard and APA style. I consider academic writing more than a profession - a passion. I can ensure you one thing - Quality. You can depend on me if you want mistake free, high quality paper as I'm quite capable of proofreading it perfectly. Much ensuring, I have very good reputation in deadline submission. So, Let's do it!! I'll need thorough guideline about the paper. I'll also appreciate any additional guideline about proofreading. With 3 years of first-hand experience in both fiction and non- fiction content creation, I take writing as a passion with professionalism. I have equal proficiency on copy writing stunning...Read moreWith 3 years of first-hand experience in both fiction and non- fiction content creation, I take writing as a passion with professionalism. I have equal proficiency on copy writing stunning websites, creating unique articles and conducting authentic academic/financial researches. I can also write breathtaking short stories/novella for you - with super twisty endings and subtle/indirect inclusion of your products! In simple sense, if the contents need to be unique, engaging and accurate, I'm here for you. And yes, in case of technical writing, all you need is to provide me with materials (if any) and requirements/instructions - and then, just consider it done! My work philosophy? Well, I firmly believe in continuous improvement and extensive quality assurance.Some of my works have been published in highly reputed newspapers. Currently, I'm working as the creative writing coordinator of Team Aristos, an IT firm based on knowledge outsourcing. 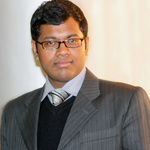 I've achieved my BBA degree from the University of Dhaka with a major in Banking and Insurance. Right now, I'm pursuing for my MBA from the same institution with a major in Banking. So, topics and papers related to business school is always my key strength. However, I have keen interest and quite a good working experience on Technology, Economics and History related topics. So, Let's explore the world of quality content and get the job done!